Srila Prabhupada desired to establish in Mayapur a planetarium that depicted the universe as described in the Vedic scriptures. Particularly, he directed that the planetarium be based on the descriptions given in the Srimad Bhagavatam and other Puranas, as well as the Brahma Samhita. Lowest of all is located Devi-dhama [mundane world], next above it is Mahesha-dhama [abode of Mahesha]; above Mahesha-dhama is placed Hari-dhama [abode of Hari] and above them all is located Krsna's own realm named Goloka. 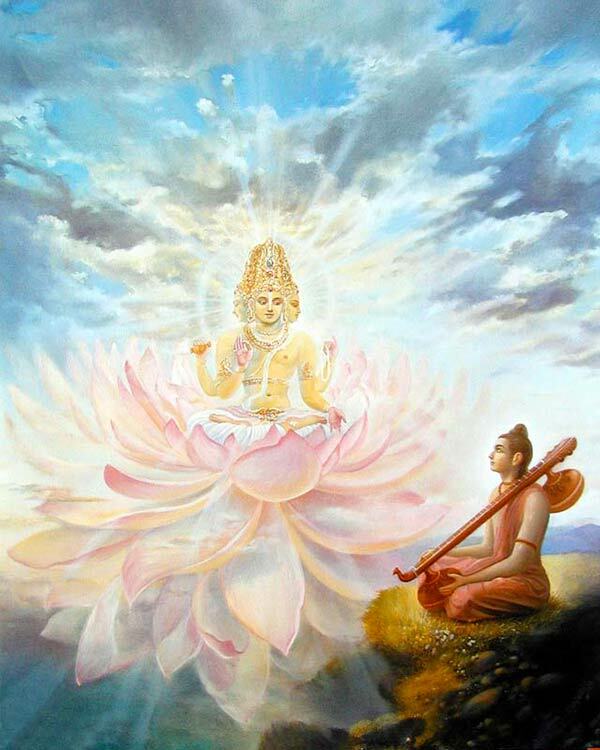 I adore the primeval Lord Govinda (Krishna), who has allotted their respective authorities to the rulers of those graded realms. In many conversations, Srila Prabhupada again confirmed that he wanted the Vedic Planetarium to show the hierarchy of the universe, giving people a first hand glimpse of the different levels of the universe. Srila Prabhupada gave a very detailed description of the Vedic Planetarium in a letter written on the 14th of November, 1976, where he gives a list of 15 items that the planetarium should contain. Now, here in India we are planning construction of a very large "Vedic Planetarium" or "Temple of Understanding". Within the planetarium we will construct a huge, detailed model of the universe as described in the text of the fifth canto of Srimad Bhagavatam. Within the planetarium the model will be studied by onlookers from different levels by use of escalators. Srila Prabhupada also spoke on several occasions how he wanted the Vedic Planetarium to show the movements of the planets according to the Srimad Bhagavatam. In this regard, he gave the example of a chandelier, and how all the planets may be considered as moving within a chandelier that is itself moving. The TOVP Cosmology Research Group is currently developing such a model based upon Srila Prabhupada's instructions, and the statements of the authoritative scriptures, that will explain various universal phenomena such as passing of seasons, eclipses of the moon etc. The Temple of the Vedic Planetarium is named as such because within its main dome it will house a 3-dimensional, moving model of the universe according to the Vedic scriptures. This explanation describes the planetary systems and all the universal contents to be in the shape of an incredible chandelier.